Paramore is back! After four long years, the trio hit us hard today with a new single, its music video, and an album announcement. They premiered “Hard Times” along with its colorful music video this morning. If you liked the sound of “Still Into You” and “Ain’t It Fun” from their last album, you’ll probably enjoy this. “Hard Times” has a clear 1980s/1990s influence, but it’s punchy and honest, in classic Paramore form. 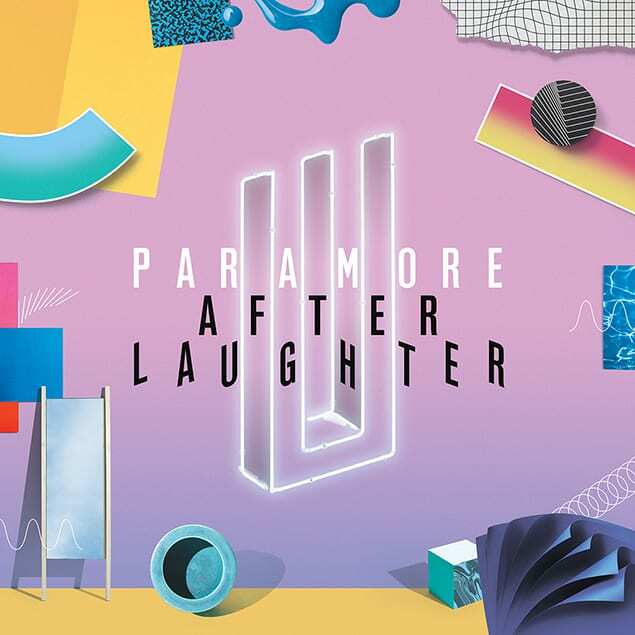 It comes from their long-awaited fifth album, After Laughter, due out on May 12th. Yes, in just three weeks. Let’s back it up here. After releasing their self-titled fourth album in 2013, Paramore took a few years off to regroup. Bassist Jeremy Davis left the band, but drummer Zac Farro rejoined Paramore. (His brother, Josh Farro, has not yet returned.) Hayley Williams married Chad Gilbert from New Found Glory and started her own hair-dye company, goodDYEyoung. Now Paramore is a trio consisting of Hayley, Zac, and guitarist Taylor York. You can pre-order After Laughter on iTunes now and get an instant download of the first single. You can also choose from a number of After Laughter bundles on Paramore’s official store. Keep checking back here for all the latest Paramore news.